Small size. Big sound. 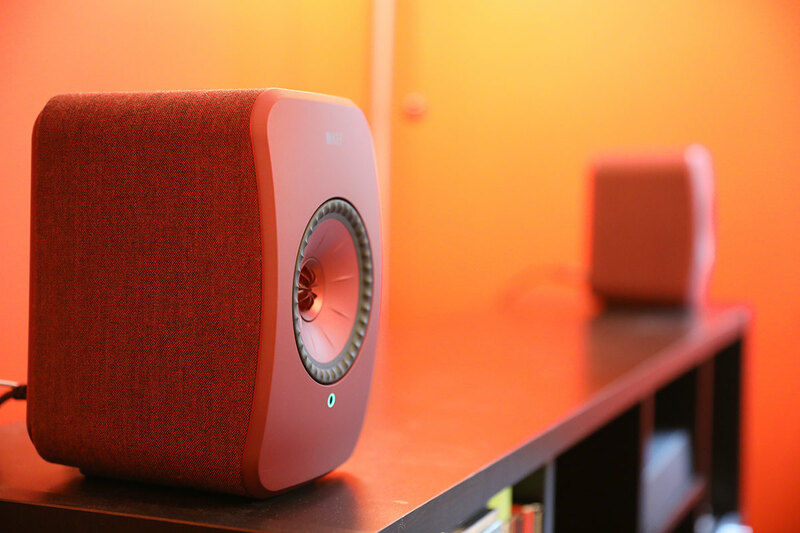 We test KEF's new wireless speakers. KEF make some of the finest speakers in the world, as anyone who has heard the $30,000 Blades will attest to. But they also make much more affordable models that deliver killer sound without killing your wallet. The LSX are their latest creation, a scaled-down version of the popular LS50 Wireless. In this review, we break down the LSX's sound, design, packaging and accessories, specs and more. To see how it stacks up, check out our list of the best wireless speakers. Let's get this out of the way right now: the KEF LSX sound good. Really freaking good. You'd expect this pair of wireless, stereo bookshelf speakers to for their stated retail price of $1,100, sure. But even if you're the kind of person who revels in five-figure amplifiers and dedicated listening rooms, you'd have to admit that for their size and price, the LSX sound extraordinary. The key to their success is in the openness of the sound. When you play a piece of music through the LSX, it really does feel like the sound expands outwards to fill the room, with all the different elements of a song making way for each other. With lesser wireless speakers, it's common to find parts of the song masking each other, getting in the way, and generally not sounding quite as good as they probably should. This isn't all up to the soundstage, which we'll talk about in more detail below, it's about how much air and life gets injected into the audio quality. It makes even low-resolution MP3s sound much better than they should. It's the kind of performance you would expect from high-end floorstanding speakers, and yet it's coming from two speakers, each no larger than a basketball. That's quite a trick. 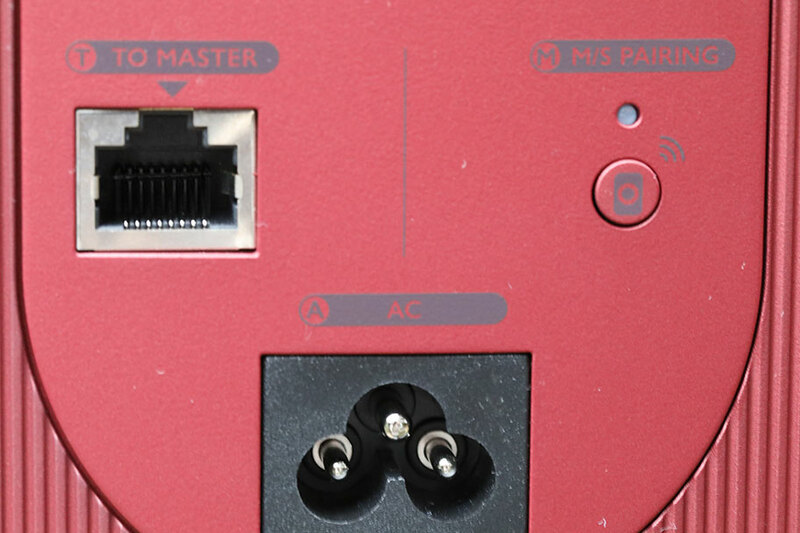 We will note that, while the LSX are designed to be connected wirelessly, they do have the option for a physical cable connection, included in the package. When we evaluated the sound quality, we think the physical connection sounded slightly better – but only slightly. You can quite happily leave the speakers connected wirelessly without losing too much sleep over it. We certainly did. For reference, the LSX stream wirelessly at 48kHz/24bit resolution, and 96kHz/24bit when connected by a cable to a playback source, like a hard drive. They also deliver sound quality that is much finer than other comparable wireless speakers. Don't get us wrong; something like the Naim MuSo is still a compelling system. But it doesn't have the sheer, rich clarity that the LSX do. Admittedly, the MuSo costs around $100 less than the $1,100 LSX, but they are still in the same ballpark. And, in terms of pure sound quality, there's no question in our minds that the KEF LSX are among the finest wireless speakers ever made. We had such fun with them. Our love for the LSX does not come just from the fact that the audio quality is open and lively. It's also that each instrument in the mix feels perfectly placed in space. While we did sometimes wish that the sweet spot was a little wider – there were moments where we found ourselves fighting for the best listening area, especially if the speakers were above or below ear level – it was never a massive problem. For the most part, we really got a sense of being inside the mix, with the different sound elements happening all around us. For music that has been well recorded, this is an absolute dream. One of KEF's biggest competitors is Dynaudio. 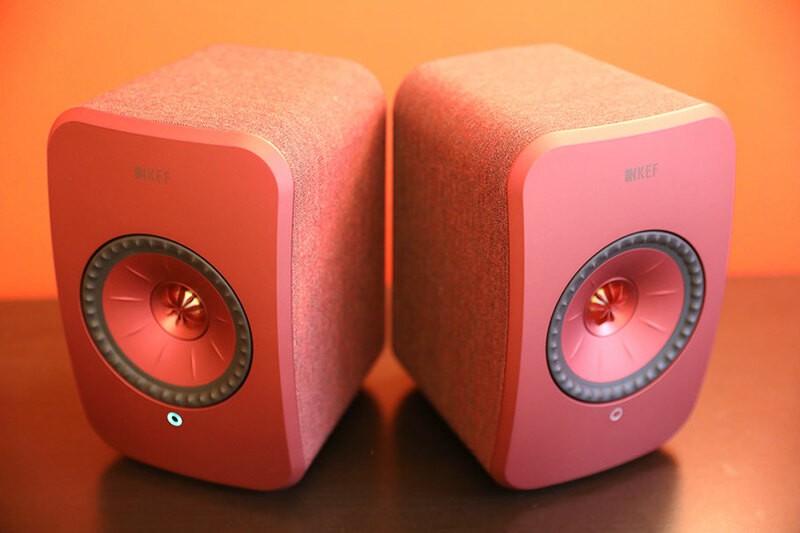 Their flagship wireless speakers, the Xeo 10, are a superlative pair the cost around $1,600. And yet, we think the LSX have better sound quality. Not dramatically so – the Xeo 10s are still a phenomenal pair of speakers – but we know which side of the line we're on. The KEF LSX have a subwoofer output on the rear of the master speaker, but in all our listening sessions, we never felt a real need to add one. Even for bass-heavy genres like hip-hop and EDM, the crunchy, textured low-end of the LSX satisfied. We did test the speakers out with a subwoofer eventually, but we never missed it when it was gone. The twin 4.5" drivers don't look like they should be able to put out bass this impactful, and this muscular, but they do. And with ease. Although the bass isn't as noticeable at lower volumes as at higher ones, we always felt like we were getting enough low-end in our music. The bass wasn't lacking, and felt tight and compact. Most bookshelf speakers, as well as wireless stereo speakers, opt for a traditional driver set, with the tweeter at the top and a mid-range or low-end woofer below. However, this isn't the case with KEF. Their Uni-Q drivers are located right in the middle of the main woofers, and they do an absolutely stellar job. The audio quality here is just glorious – we've already mentioned the openness and clarity, but the sheer level of detail is staggering. We suspect that part of this has to do with the curved front baffle. 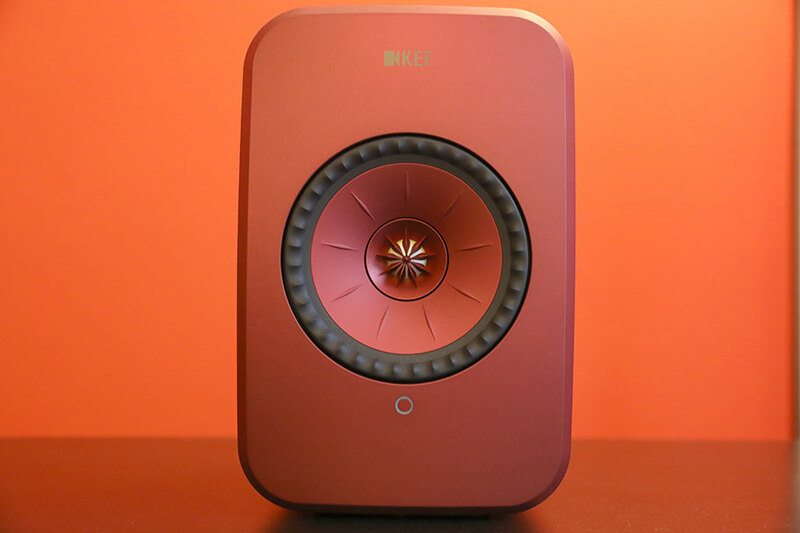 KEF say that they built it using Finite Element Analysis (whatever that is), and that it's designed to ensure the maximum amount of sound is pushed out into the room, instead of bouncing around the interior of the cabinet. Our take? It definitely sounds like it. While we don't do scientific testing here, our ears don't lie. The LSX sound tremendous. It also probably helps that the internal DSP (Digital Signal Processing) has been expertly tuned. Put it this way: we test a lot of speakers, and it takes quite a bit for a pair to impress us. The LSX pulled it off in a major way. It's not particularly well spelled-out – we didn't know about it until someone told us – but if you dig into the KEF Control app, you'll be able to do some fairly in-depth personalisation of your sound quality. Basic mode allows you to select whether your speakers are on stands or on a desk, how far they are from the edges and the walls, how large your room is, whether it's treated acoustically, and whether you've connected the subwoofer. Switch over to expert mode, and you get all these options plus the ability to fiddle with things like phase correction and bass extension. It's far more in-depth and personal than something like SONOS's TruePlay technology. That tech is decent, but it doesn't give you this much control. We tested the speakers in multiple setups, and while we don't think the personalisation options make a huge difference, there are definitely some noticeable changes. If you enjoy tinkering, with the goal of finding the perfect sound for your room, you're going to love this. The apps aren't perfect – more on this below – but this is a welcome feature. The LSX are, as we mentioned, a more affordable version of the old LS50 Wireless, released in 2016. There are some obvious price and size differences – the LS50s cost $2,200, versus $1,100 for the LSX, and are significantly larger. But the biggest difference is simply the power in the sound, rather than the actual sound quality itself. The LS50s are capable of playing much louder and with much more power than the LSX, and as such, are far more suitable for larger rooms. If you have a large space, like a living room or open plan office, the LSX may not be loud enough for your tastes. It's not that they don't get loud, but with only 102dB sensitivity versus 106dB for the LS50s, and 100 watts of power versus 230, they clearly aren't meant to blow the walls apart. The design and sound quality are largely the same, and you shouldn't worry about missing out on any if that you go for the smaller LSX. In fact, one of the genuinely surprising differences is that the LSX cost as little as they do. They retain what made the LS50s special while costing $1,000 less. The sound of the KEF LSX speakers is close to perfect. The setup and operation, however, is not. This is due to KEF's slightly staggering decision to require two separate app downloads for the setup. 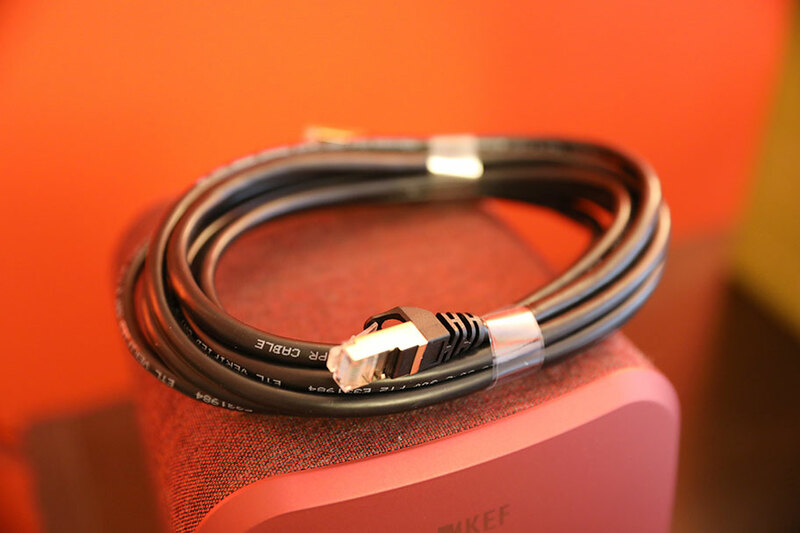 First, you need to download the KEF Control app, which you'll use to set up the speaker and get connected to a Wi-Fi network. And then you can start playing music, yes? Nope. To do that, you need to download the KEF Stream app, which will let you access your audio, both on streaming services and from any files you have stored on your phone. This is stupid. Deeply stupid. It makes setting up a largely flawless set of speakers a pain in the backside. As we so frequently do on the site, we'll highlight SONOS as the gold standard here. Buy one of their PLAY:5 speakers – their largest, and arguably their main competitor for the LSX – and you'll find that the app setup process is smooth, simple, and above all, requires only a single app. It's not that the apps are bad to use. They are fine. They get the job done. But having to use two of them is ridiculous. While it's not a particularly arduous process to download and install the apps, having to switch between them is annoying. If there is ever an LSX 2, then this is the first thing the company should work on. Once you've actually got things set up, you'll gain access to a number of different streaming services. The LSX not only offer Spotify Connect, Tidal, and Bluetooth audio, but also give you access to Apple AirPlay 2. That means that, for the most part, listening to music is a breeze, and can be done within moments of activating the speakers. We also love the fact that they worked directly from the Spotify app, bypassing KEF's apps entirely. However, we did have some issues streaming from Tidal; despite selecting gapless playback, we found that there were huge gaps between songs, and that our play/pause commands were laggy as hell. We had the same issue across multiple Wi-Fi networks, and it was pretty frustrating. If you are a Tidal listener, you may want to look for another pair of speakers, or a single system like the $999 Devialet Reactor. The sound quality won't be quite as good, but the ease-of-use is top-notch. We've never had a set of speakers arrive at our offices with vacuuming instructions. That was a first. 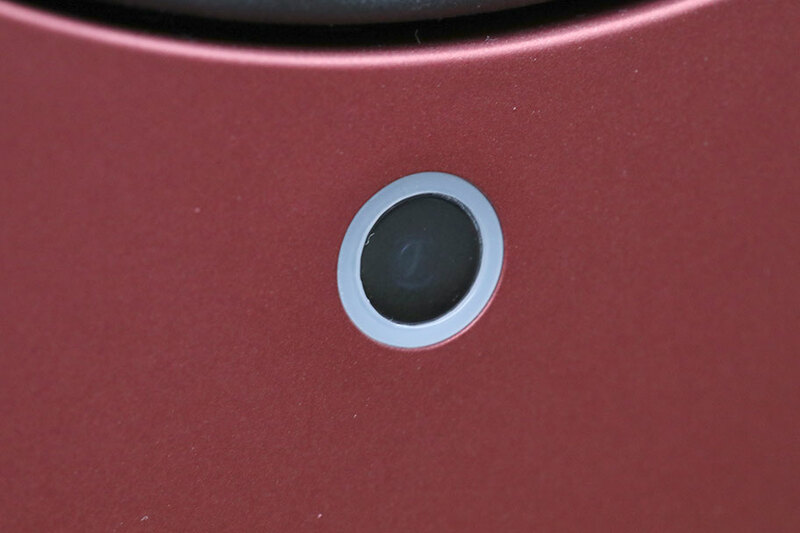 The biggest design change between the LSX and the LS50s is on the outer housing. 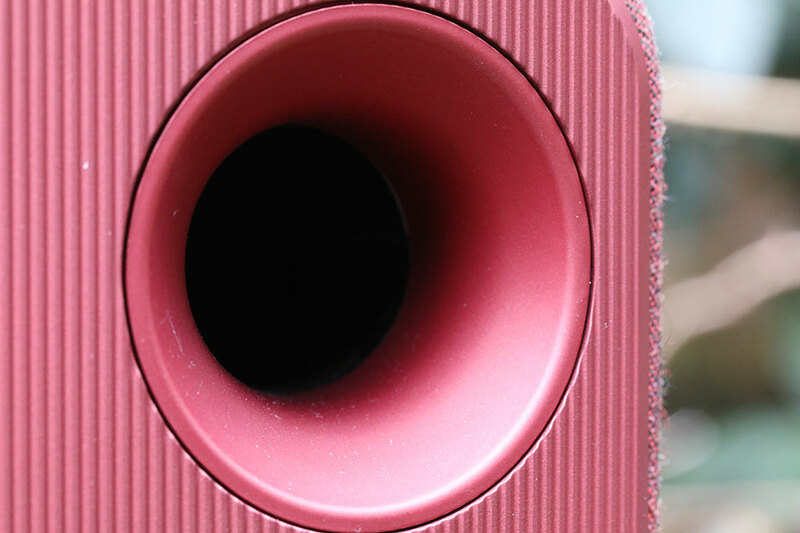 Where the LS50s were plastic, the LSX speakers are covered in a stylish, textured fabric that requires occasional vacuuming. In fairness, we didn't notice it gathering a huge amount of dust, and we absolutely loved the overall design. 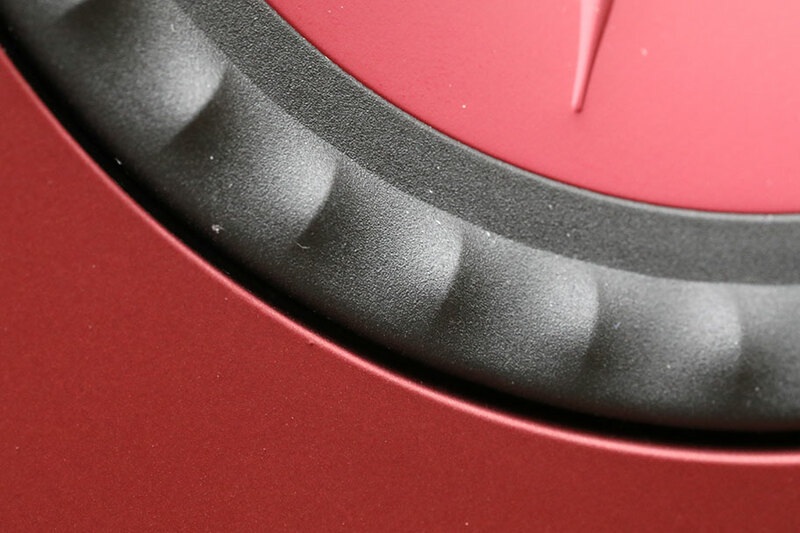 The speakers come in a range of colours – ours were a warm crimson – and the build is of exceptional quality. 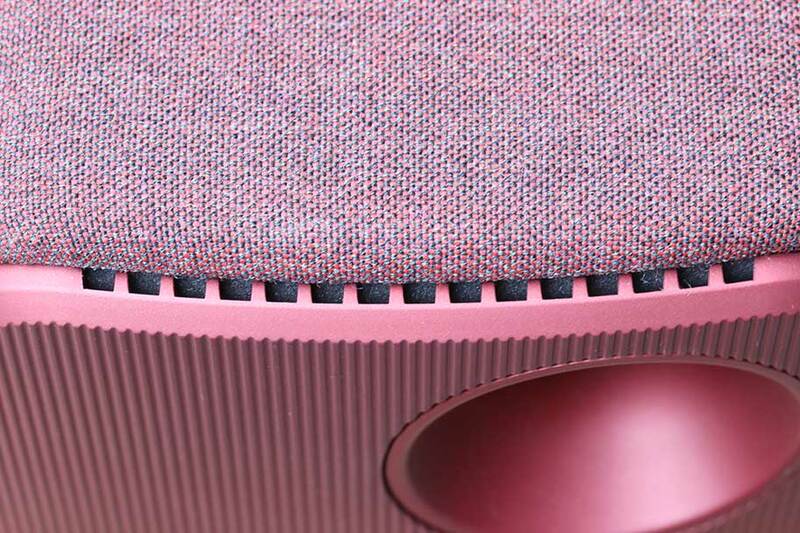 The fabric comes from Danish designer, Kvadrat, who worked closely with the speaker cabinet designer, Michael Young. The result is superb, delivering a set of speakers that look as good as they sound. We absolutely love the design here. Although they are wireless in terms of music, both speakers need to be connected to mains power. Like most stereo pairs, one of the speakers is the master, and the other one is the slave. It's on the rear of the master where you'll find all the inputs and outputs. You get a 3.5mm analog input, an Ethernet connection, and an optical input for TVs, along with the aforementioned Wi-Fi and aptX 4.2 Bluetooth (read more about Bluetooth here). There's also a subwoofer output and a couple of discrete buttons for speaker pairing and Bluetooth pairing. 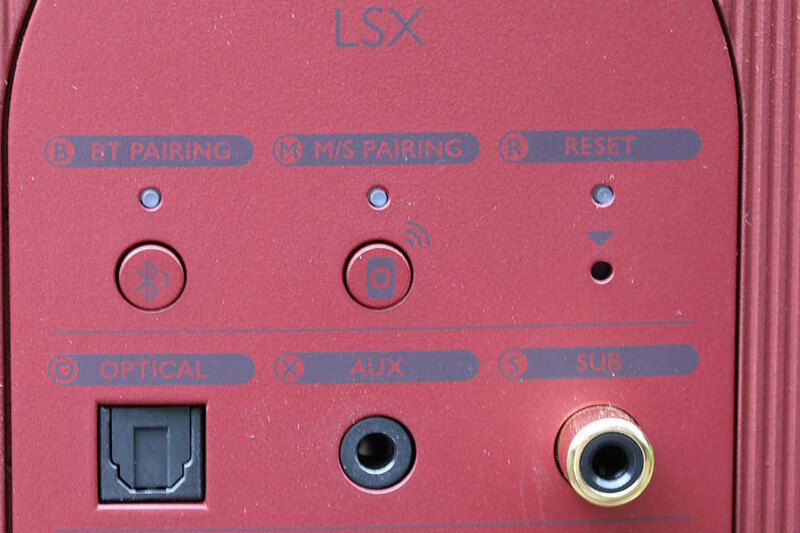 The connections on the LSX are straightforward and simple to use. Though there are no controls on the front, input information is communicated with a simple colored ring below the drivers, which reminded us of the design of the Chord Hugo 2 DAC (full review here). We will talk about the included remote in more detail below, but we do want to say here that we found controlling the sound a bit frustrating. It felt like it took ages to change the volume, and occasionally felt like there was a lag between pressing a button on the remote and the action. Controlling things inside the applications was quicker, but not by much. The LSX don't require many accessories to work. The main one is the remote, which we have mixed feelings about. 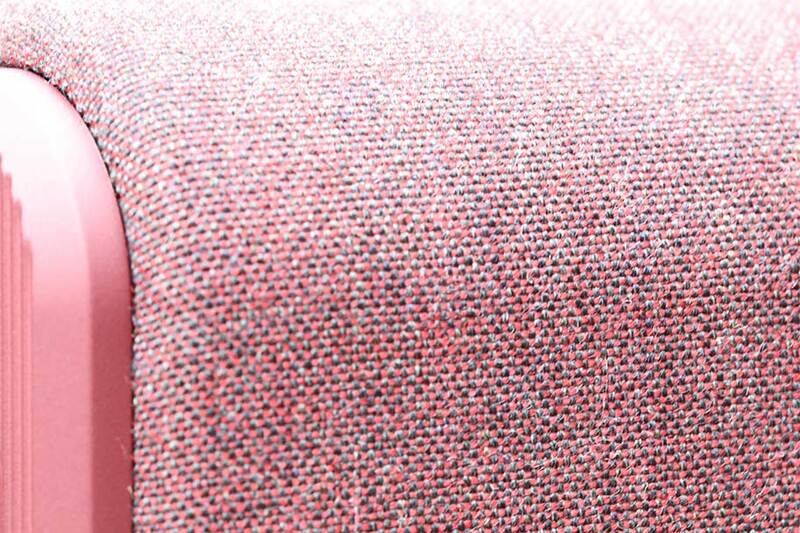 On the one hand, it has straightforward design, with clearly-labelled buttons and a good shape that sits well in the hand. On the other, it's made of plastic that looks and feels cheap. We have no objection to plastic, but compared to the lush design of the speakers themselves, the remote feels like an afterthought. Outside of that, you get a set of power cables. Nothing we didn't expect to see. We do, however, want to shout out KEF for their packaging. The box these speakers come in is thoughtful and well-designed, with everything labelled intelligently. The sound of the KEF LSX is extraordinary, engaging, rich, and airy. 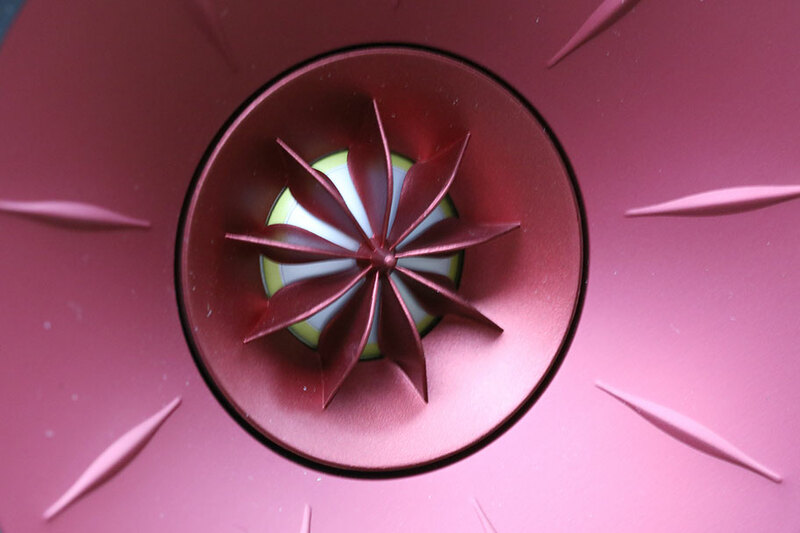 We adored the design of the KEF LSX – the speakers feel more like art than tech. They offer huge value, allowing you to get the performance of some of KEF's flagship speakers in a relatively affordable package. Having to use two apps to set up the KEF LSX is deeply annoying, and we had issues with the Tidal streaming service. We sometimes felt like the soundstage could be a little wider when listening to the LSX. The remote control for the speakers feels cheap, clashing with their luxurious design. There's a surprising amount of competition in the $1,000-$2,000 wireless speaker range, meaning the LSX have a few battles to fight. 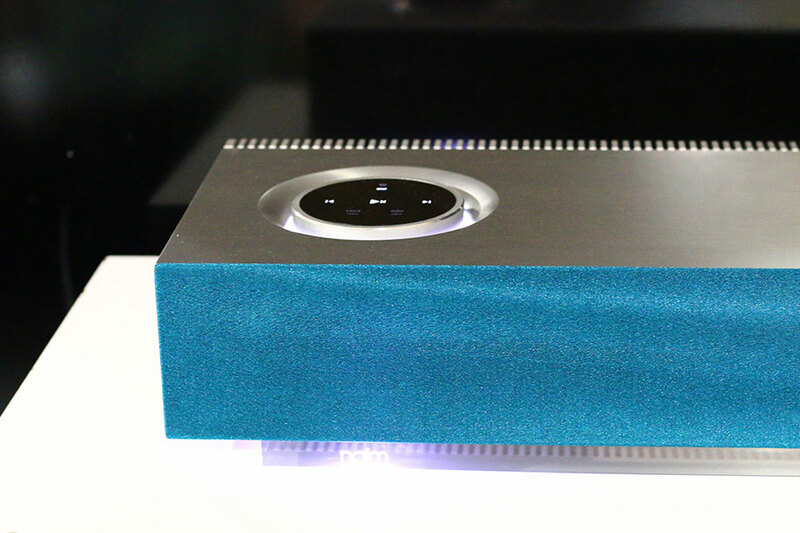 One of those battles is with the popular Naim MuSo: a $999 speaker known for its great sound quality and stellar design. It's not a stereo setup, unlike the twin-speaker LSX, and so it does sacrifice some openness and clarity. But you still get tremendous sound, with thundering bass and excellent dynamics. In our opinion, the LSX are a better pick, but not dramatically so. You'd go for the MuSo if you wanted a single speaker setup, or didn't want to spend over $1,000. The Dynaudio Xeo 10 are another great alternative, albeit a more expensive one. At $1,600, they're definitely for those with deep pockets. They are far more traditional speakers, with the design that recalls most bookshelf models. Despite the Xeo 10s' higher cost and excellent pedigree, we still prefer the LSX. Not only do you get slightly better sound quality, but you also get a larger range of features. The Xeo 10 are excellent, and perfect if you want a slightly more traditional-looking setup without the hassle of having to vacuum your speakers. But in our opinion, they aren't quite as good as the LSX. SONOS are the kings of the wireless speaker space. While they don't offer a pair of stereo speakers to directly compete with the LSX, their flagship speaker, the PLAY:5, still does a great job. The sound quality can't touch the LSX – at $499, you wouldn't expect it to - but where the SONOS excels is in setup and ease-of-use, both of which are the best you can get. This model is getting slightly older now, with the company moving towards smart speakers and home theater, but it remains an excellent choice of wireless speaker. Especially if you can't be bothered to download two apps at once. 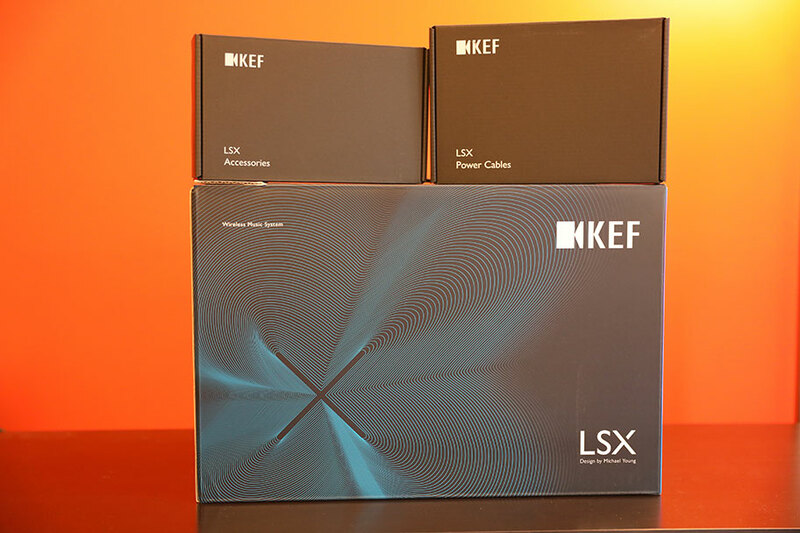 If you want another offering from KEF as an alternative, then the choice is obvious: the speakers that the LSX take their design DNA from. The LS50 Wireless are originators – a big, bold set of speakers that show what you can do with high-end wireless audio. They are bigger, more powerful, and much more expensive than the LSX, to the tune of about $1,000. We suggest investing in them if you have a big space to fill, or you just like to collect loud, expensive things.